Shelley, Mary Wollstonecraft. British authoress, second wife of Percy Bysshe Shelley, the poet, was born in the Polygon, Somers Town, on 30 Aug. 1797, and was the only daughter of William Godwin the elder and Mary Wollstonecraft Godwin. Orphaned of her mother a few days after her birth, she was left to the care of her father, who, bewildered by the charge, soon began to look for some one to share it with him. After sundry rebuffs he at last found the needed person (December 1801) in his next-door neighbour, Mrs. Clairmont, a widow with a son and daughter—‘a clever, bustling, second-rate woman, glib of tongue and pen, with a temper undisciplined and uncontrolled; not bad-hearted, but with a complete absence of all the finer sensibilities’ (Marshall). She inspired no remarkable affection, even in her own children, and Mary was thrown for sympathy upon the companionship of her father, whose real tenderness was disguised by his frigid manner. It was natural that, as she grew up, she should learn to idolise her own mother, whose memory became a religion to her. There seems to have been nothing peculiar in her education. ‘Neither Mrs. Godwin nor I,’ Godwin had written, ‘have leisure enough for reducing modern theories of education to practice;’ but she must have imbibed ideas and aspirations from the numerous highly intellectual visitors to her father’s shabby but honoured household. At the age of fifteen she is described by Godwin as ‘singularly bold, somewhat imperious, and active of mind. Her desire of knowledge is great, and her perseverance in everything she undertakes almost invincible.’ From June to November 1812, and again from June 1813 to March 1814, she resided at Dundee with friends, the Baxters, whose son was employed with her foster-brother, Charles Clairmont, in Constable’s publishing house at Edinburgh. The day of her return was 30 March, and on 5 May, so far as can be ascertained from Godwin’s diary, she first made acquaintance with Shelley, whom she had only once seen before, in November 1812. Shelley was then in the throes of his breach with Harriet. Mary, remitted from beloved friends to an uncongenial stepmother, was doubtless on her part pining for sympathy. By 8 June, to judge by Hogg’s record of the meeting between them which he witnessed, they had become affectionate friends; but it was not until 28 July that they left England together, accompanied by Jane Clairmont. The poet learnt of the death of his first wife in the middle of December 1816, and he married Mary Godwin about a fortnight later. For the next six years her history is almost absorbed in that of her illustrious husband. They were seldom apart, and her devotion to him was complete. Some differences were unavoidable between persons in many respects so diversely organised. Endowed with a remarkably clear, penetrating, and positive intellect, she could not always follow Shelley’s flights, and was too honest to affect feelings which she did not really entertain. Possessing in full measure the defects of her qualities, she had not the insight to discern the prophetic character of Shelley’s genius; and, although she admired his poetry, her inner sympathy was not sufficiently warm to console him for the indifference of the world. Expressions of disappointment occur occasionally both in his verse and his prose. He was probably thinking of himself when he wrote: ‘Some of us have loved an Antigone in a previous stage of existence, and can find no full content in any mortal tie.’ There were incidents, too, on his side to test both her patience and her affection. With every deduction on these accounts, the union was nevertheless in the main a happy one. Mary undoubtedly received more than she gave. Nothing but an absolute magnetising of her brain by Shelley’s can account for her having risen so far above her usual self as in ‘Frankenstein.’ The phenomenon might have been repeated but for the crushing blow of the death of her boy William in 1819. From this time the keynote of her existence was melancholy. Her father’s pecuniary troubles, and the tone he chose to take with reference to them, also preyed upon her spirits, insomuch that Shelley was obliged at last to intercept his letters. With all this she was happier than she knew, and after Shelley’s death she exclaims, with tragic conviction, ‘Alas! having lived day by day with one of the wisest, best, and most affectionate of spirits, how void, bare, and drear is the scene of life!’ Trelawny was her favourite among her husband’s circle; but Byron, much as he made her suffer in many ways, also endeared himself to her. She associated him with Switzerland, where she copied the third canto of ‘Childe Harold’ for him. She liked Hogg and loved Leigh Hunt, but Peacock was uncongenial to her. Mary Shelley was a hard student during her husband’s lifetime. She read incessantly without any neglect of domestic duties, acquiring some knowledge of Greek, and mastering Latin, French, and Italian. Of the two romances which she produced during this period, ‘Frankenstein’ is deservedly by far the more famous. Frankenstein’s monster, though physically an abortion, is intellectually the ancestor of a numerous family. The story, which was commenced in 1816 in rivalry with Byron’s fragmentary ‘Vampyre,’ was published in 1818. ‘Valperga,’ an historical romance of the fourteenth century, begun in 1820, was printed in the spring of 1822, and published in 1823, after undergoing considerable revision from Godwin. After her husband’s death in 1822 her diaries for years to come are full of involuntary lamentations. Byron’s migration to Genoa drew the Hunt circle after him, and there she spent the winter (1822–3), tried by the discomfort of Leigh Hunt’s disorderly household, the waning kindness of Byron, who, by her own statement, had at first been most helpful and consolatory, and temporary misunderstandings with Hunt himself. These ordeals lessened the pain of leaving Italy. Byron and Peacock, Shelley’s executors, concurred with Godwin in deeming her presence in England necessary. Byron, although he had handsomely renounced his prospective claim to a legacy under Shelley’s will, showed no disposition to provide travelling expenses. Trelawny accordingly depleted his own purse for the purpose, and in June 1823 she left for London with her three-year-old child. On the way she had the satisfaction of seeing a drama founded on ‘Frankenstein’ performed with applause at Paris. She found her native land a dismal exchange for Italy, but was for a time much soothed by the society of Mrs. Williams. Sir Timothy Shelley had offered to provide for her son upon condition of her resigning the charge of him, which she of course rejected with indignation. After a time terms were made; but her small allowance was still dependent upon Sir Timothy’s pleasure, and was withdrawn for a while when the newspapers named her as the authoress of ‘The Last Man,’ which had been published anonymously. ‘The name annoyed Sir Timothy.’ In the same year (1826), however, the death of Shelley’s son by Harriet made little Percy a person of consequence as heir to the baronetcy, and her position improved. 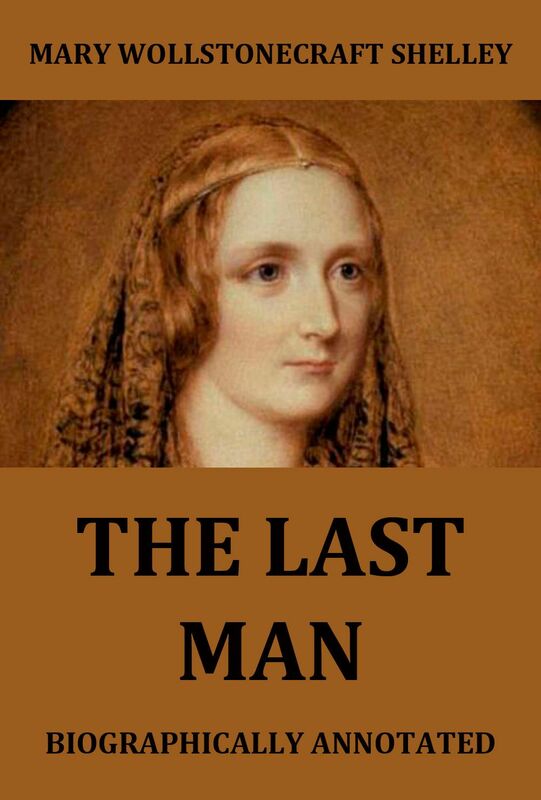 ‘The Last Man,’ published in 1826, though a remarkable book, is in no way apocalyptic, and wants the tremendous scenes which the subject might have suggested, the destruction of the human race being effected solely by pestilence. Passages, however, are exceedingly eloquent, and the portrait of Shelley as Adrian, drawn by one who knew him so well, has singular interest. Neither her historical novel, ‘Perkin Warbeck’ (1830), nor her latest fiction, ‘Falkner’ (1837), has much claim to remembrance; but ‘Lodore’ (1835) is remarkable for being, as Professor Dowden was the first to discern, a veiled autobiography. The whole story of the hero’s and heroine’s privations in London is a reminiscence of the winter of 1813. Harriet Shelley appears much idealised as Cornelia, and her sister’s baneful influence over her is impersonated in the figure of a mother-in-law, Lady Santerre. By it Lodore is driven to America, as Shelley to the continent. Emilia Viviani is also portrayed, probably with accuracy. Mrs. Shelley contributed for many years to the annuals, then in their full bloom, and her graceful tales were collected and published in 1891 as a volume of the ‘Treasure-house of Tales by Great Authors.’ One of these tales, ‘The Pole,’ was written by Claire Clairmont, but made presentable by Mary’s revision. In 1831 she was engaged in polishing the style of Trelawny’s ‘Adventures of a Younger Son,’ and negotiating with publishers on account of the erratic author, then far away, who gave her nearly as much trouble as Landor had given Julius Hare under similar circumstances. He must have offered her marriage, for she writes: ‘My name will never be Trelawny. I am not so young as I was when you first knew me, but I am as proud. I must have the entire affection, devotion, and above all the solicitous protection of any one who would win me. You belong to womenkind in general, and Mary Shelley will never be yours.’ This probably accounts for Trelawny’s depreciation of Mary Shelley in the second edition of his ‘Memoirs,’ so different from the cordial tone of the first edition. In 1836 Mary lost her father and her old and attached friends, the Gisbornes. She was at the time writing the lives of Petrarch, Boccaccio, Machiavelli, and other Italian men of letters for Lardner’s ‘Cabinet Cyclopædia,’ and severely pressed by her exertions to give her son an education at Harrow, whither she had removed for the purpose. Sir Timothy did not see his way to assist, but, through his attorney, ‘trusted and hoped you may find it practicable to give him a good education out of the 300l. a year.’ The thing was done; Percy Florence proceeded from Harrow to Cambridge, but the struggle ruined Mary Shelley’s health, and left her, exhausted by effort and ‘torn to pieces by memory,’ very unfit to discharge the task which devolved upon her of editing Shelley’s works when the obstacles to publication were removed in 1838. The poems nevertheless appeared in four volumes in 1839, with notes, slight in comparison with what they might have been, but still invaluable. The prose remains were published in the following year, and, notwithstanding the number of pirated editions, both publications proved profitable. A further piece of good fortune signalised 1840, when Sir Timothy relented to the extent of settling 400l. a year upon his grandson on occasion of his attaining his majority and taking his degree. Mrs. Shelley was now able to seek rest and change on the continent, and eagerly availed herself of the opportunity. In 1840 and 1841 she and her son travelled in Germany, and in 1842 and 1843 in Italy. Her impressions were recorded in ‘Rambles in Germany and Italy,’ published in two volumes in 1844 and dedicated to Samuel Rogers, who, like Moore, had always shown himself a sympathising friend. The German part of the book contains little of especial interest, but the Italian part is full of admirable remarks on Italian art and manners. In 1844 Sir Timothy Shelley’s death placed Mary in a position of comparative affluence. The first act of her and her son was to carry out Shelley’s intentions by settling an annuity of 120l. upon Leigh Hunt. She next endeavoured to write Shelley’s life; but her health and spirits were unequal to so trying a task, and nothing was written but a fragment printed at the beginning of Hogg’s biography. She died in Chester Square, London, on 1 Feb. 1851, and was interred in the churchyard at Bournemouth near the residence of her son, in the tomb where he also is buried, and to which the remains of her father and mother were subsequently brought. Personally, Mary Shelley was remarkable for her high forehead, piercing eyes, and pale complexion. She gained in beauty as she grew in years; and her bust strikingly brings out the resemblance, which Thornton Hunt noticed, to the bust of Clytie. A fine portrait by Rothwell, painted in 1841, is engraved as the frontispiece to Mrs. Marshall’s biography. 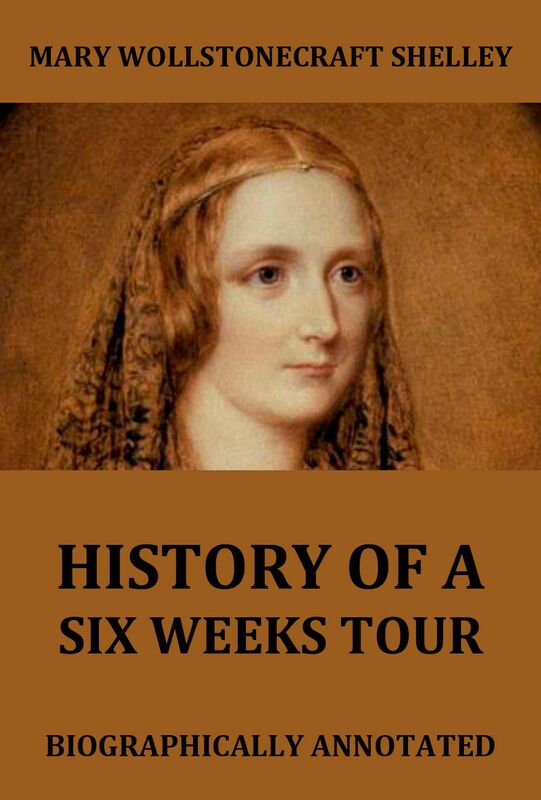 History A Of Six Weeks‘ Tour through a part of France, Switzerland, Germany, and Holland; with Letters Descriptive of a sail round the Lake of Geneva and of the Glaciers of Chamonix is a travel narrative, that Mary Shelley has published in 1817. It describes two journeys that Shelley undertook with Percy Bysshe Shelley and her stepsister Claire. The first journey led them all across Europe in 1814, the second one to the Lake Geneva two years later. History Of Six Weeks‘ Tour. Falkner, published in 1837, is the last novel by Mary Shelley;and as we see from her letter she had been passing through a period of ill-health and depression while writing it, this may account for less spontaneity in the style, which is decidedly more stilted ; but, here again, we feel that we are admitted to some of the circle which Mary had encountered in the stirring times of her life, and there is undoubted imagination with some fine descriptive passages. 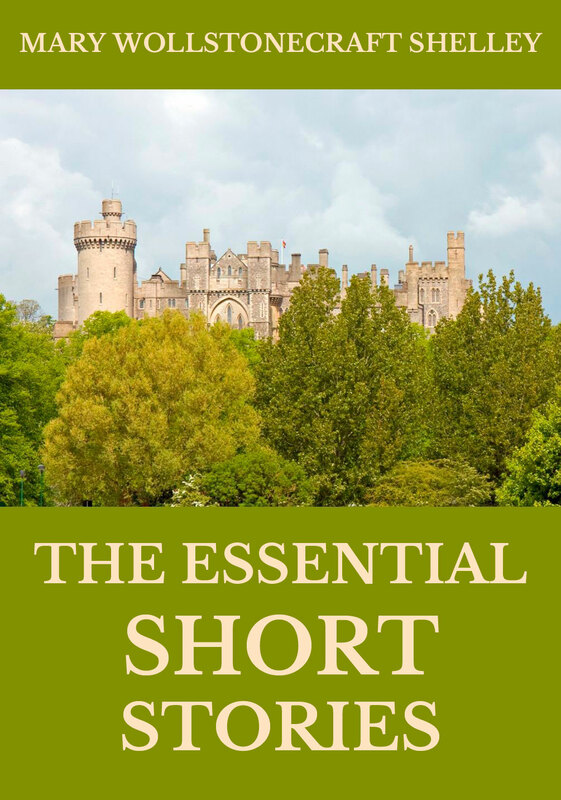 In this novel, Mrs. Shelley sets out with the somewhat startling statement of her firm belief that Perkin Warbeck was in reality the lost Duke of York. She is of opinion, that it is impossible for anyone to examine the records in the Tower without arriving at the same conclusion; and sometimes even in the course of the story, we think she overlooks the resemblance of the romance in her eagerness to impress upon the reader her own peculiar view of the historical fact. The various adventures of the unfortunate Perkin, (or the young Prince, as she will have it,) from his escape out of the Tower in childhood to the termination of his career upon the scaffold, form the subject-matter of the work. This highly imaginative work of Mary Shelley’s twenty-sixth year contains some of the author’s most powerful ideas. The account of the events recorded professes to be found in the cave of the Cumsean Sibyl, near Naples, where they had remained for centuries, outlasting the changes of nature and, when found, being still two hundred and fifty years in advance of the time foretold. The accounts are all written on the sibylline leaves; they are in all languages, ancient and modern; and those concerning this story are in English. Frankenstein; or, The Modern Prometheus, is a novel written by English author Mary Shelley about eccentric scientist Victor Frankenstein, who creates a grotesque creature in an unorthodox scientific experiment. Frankenstein is infused with elements of the Gothic novel and the Romantic movement and is also considered to be one of the earliest examples of science fiction.